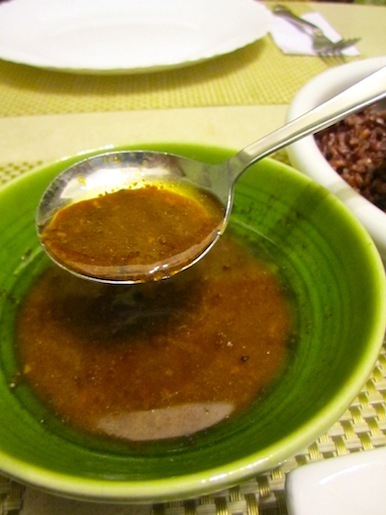 Want a go to dish that is so simple to make and yet tastes delicious? 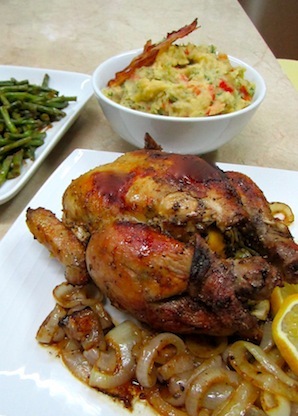 Well, this roast chicken is just that! Simple, easy and deeelish! 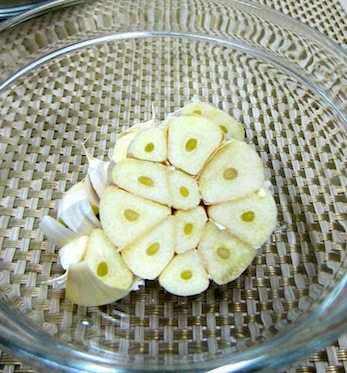 Cut a head of garlic in half and slice 1 medium onion, into rings, set aside. 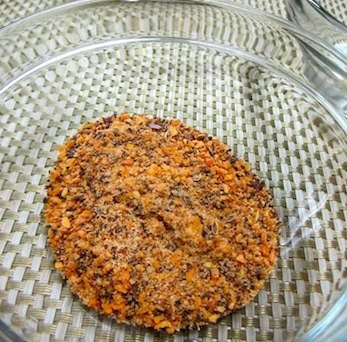 Here’s an easy go to Chicken rub. Tastes great on steak too. 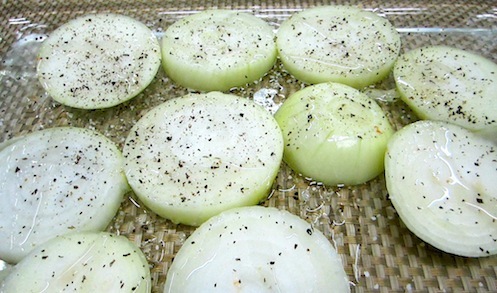 Place onions onto a baking dish, season with salt and pepper and drizzle with a bit of canola oil. Seat Aside. 1. Make sure you pat the chicken dry with kitchen towels. 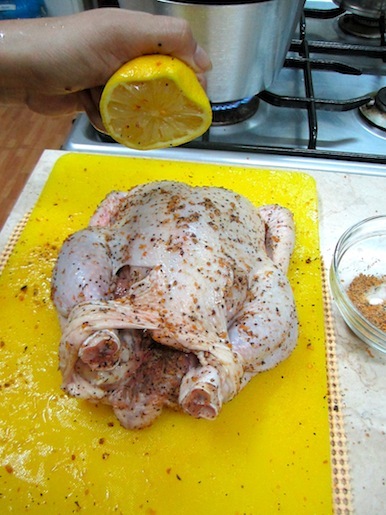 This is to ensure that the seasonings stick to the chicken. 2. 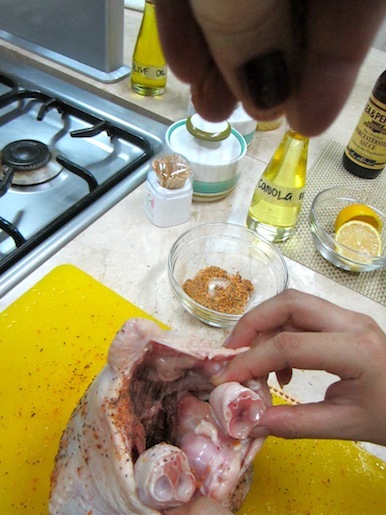 Rub the spice mix all over the chicken making sure to season the cavity as well. 3. 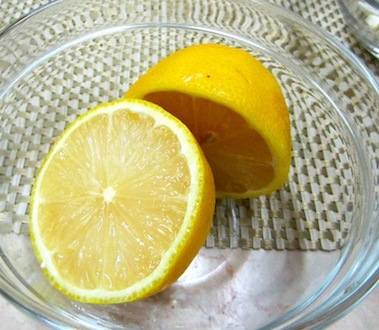 Squeeze half of the lemon onto the chicken, making sure to cover it completely. 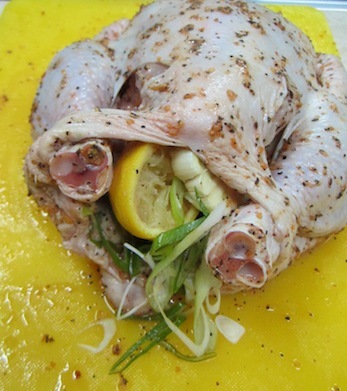 Add the squeezed lemon half, leeks and garlic into the cavity of the bird and set on top of the prepared baking dish. 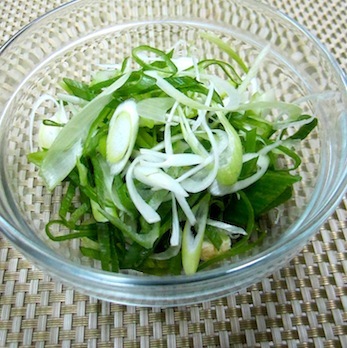 You can add lemongrass inside as well. It gives it such a delicious flavour. 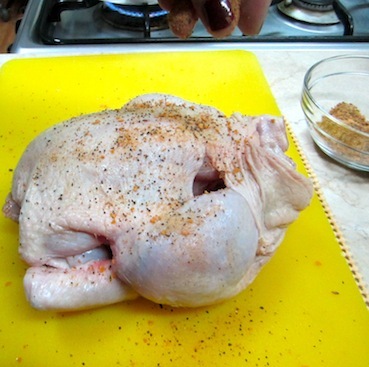 Bake chicken at 375F for about 45 mins to 1 hour (depending on the size of the bird) or until the internal temperature of the thigh area reaches 175F or if the juices run clear. Serve with Potatoes, caramelized onions (what we used to bake with the chicken) and stir fried beans. Don’t forget the Jus…. just pour on top of carved chicken and serve. Mommy Prings, I will try this! Looks yummy! Hope you can post more recipes on your site. 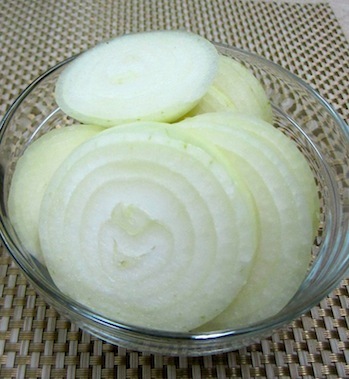 It’s a big help for those who are just beginners in cooking, like me!